If not for a hurricane in the late 1990s, Jim Arnold’s career might have taken a different path. During a power outage in his home state of Florida, Jim’s wife pointed out that chisels don’t require electricity. Taking her advice, Jim got started and carved a chess set by candlelight. 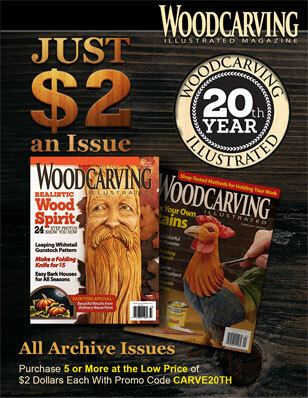 Before he started carving full time, Jim spent many years as a charter boat captain, sailing and teaching scuba diving. 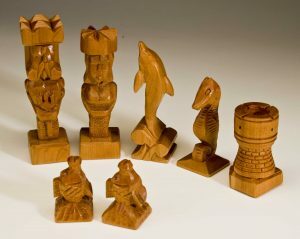 Combining his love of both woodworking and the ocean, Jim’s first themed chess set was titled Atlantis. 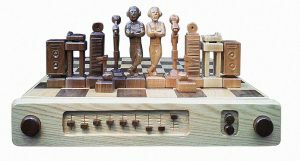 He has developed dozens of specialized chess sets, but Atlantis is still the most popular. The theme ideas come from a variety of sources. Jim says the easiest way to develop a concept is to think of the different sides in terms of natural antagonists. Sets like The Hippies versus The Establishment and The Civil War are good examples. 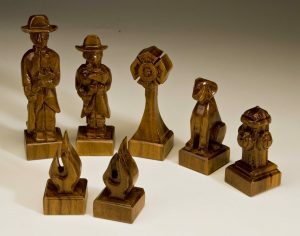 Private commissions often dictate the subject matter and have inspired sets such as Duck Hunting and The Firefighter’s Chess Set. Jim starts each new project by researching the theme. Then he makes sketches for the front and side views of each piece. he cuts the pieces with a band saw, then shapes them with chisels and gouges. 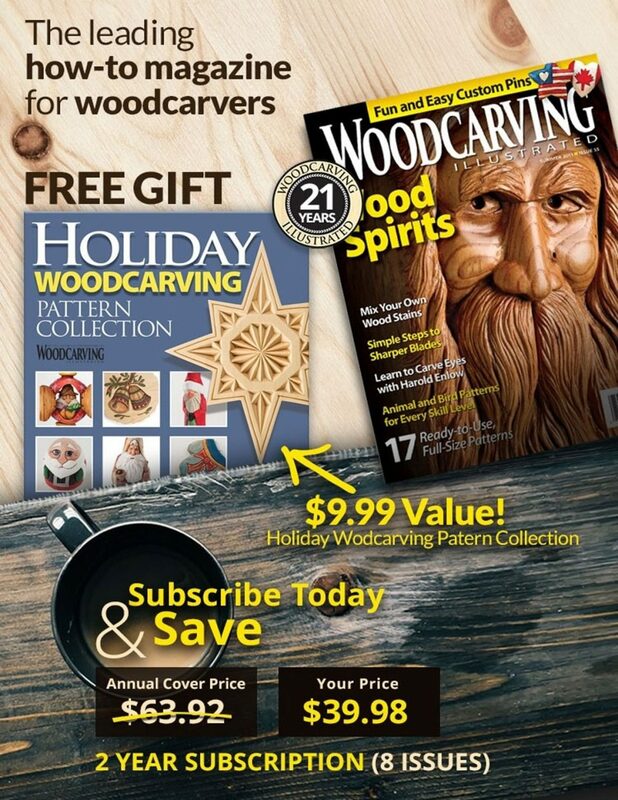 “I don’t use knives, rotary power carvers, or CNC machinery,” Jim explained. His sets are hand carved from walnut, poplar, and maple. Several coats of lacquer protect them for years of playing. 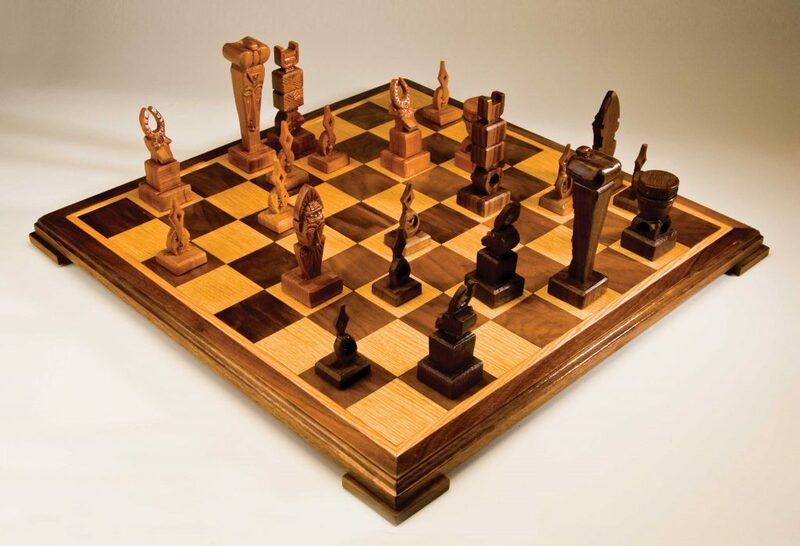 Jim sells his chess sets on the Internet and at local art shows. Prices range from $175 to $1,500 depending on size and the level of detail. 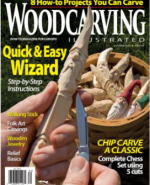 CLICK HERE to read more great articles from Woodcarving Illustrated Summer 2008 (Issue 43).